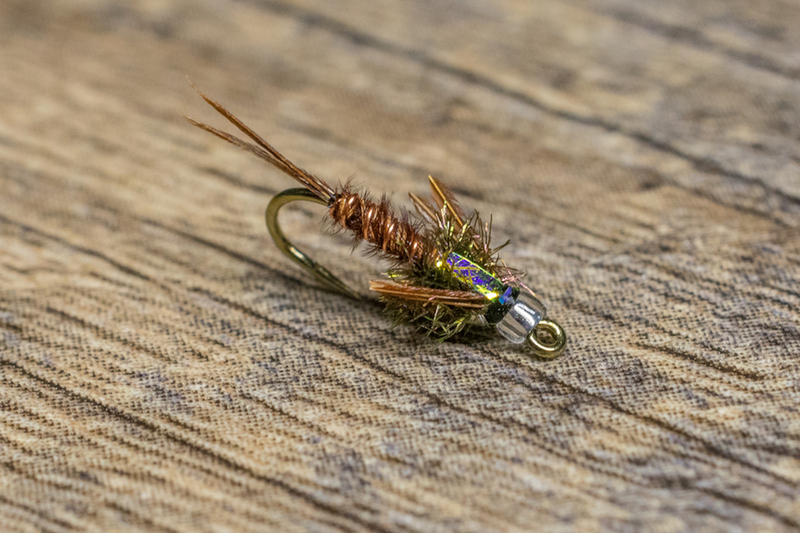 The Pheasant Tail is one of the best trout patterns of our time. In a wide range of sizes, the Pheasant Tail and its variations imitate a wide range of mayfly nymphs including blue-winged olives, pale morning duns, Tricos and red quills. The Mercury Flashback Pheasant Tail is a recent variation of the original pattern that was created by swapping out a piece of Mylar tinsel for the natural wing case and including a small silver-lined glass bead. The extra flash not only helps the fly stand out, but it also simulates the tiny bubbles of air on the outer layer of the mayfly nymph’s exoskeleton when it emerges. 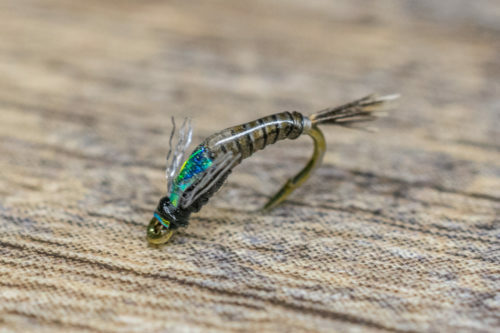 In larger sizes, a Mercury Pheasant is an excellent yellow sally or winter stonefly imitation when tied with yellow or black pheasant tail fibers. The Mercury Pheasant Tail is a generic pattern that imitates a wide array of aquatic insects. It can be fished as an attractor or used as a dropper in a tandem nymphing rig. 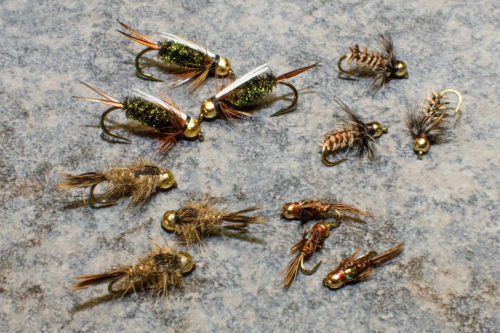 The best time to fish this pattern is between mid-March and mid-November when trout are keying on mayfly nymphs. Vary your size depending on the mayfly nymph you want to imitate. 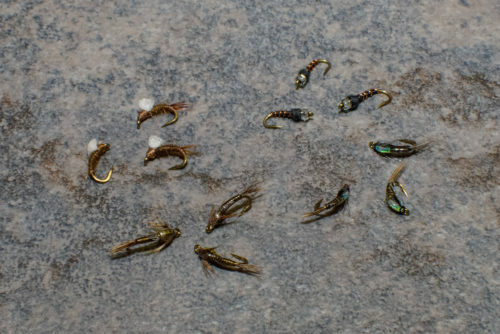 For instance, a size 16 yellow Mercury Pheasant Tail is an excellent PMD nymph, and a size 20 olive Mercury Pheasant Tail is a deadly little Baetis nymph and so on. 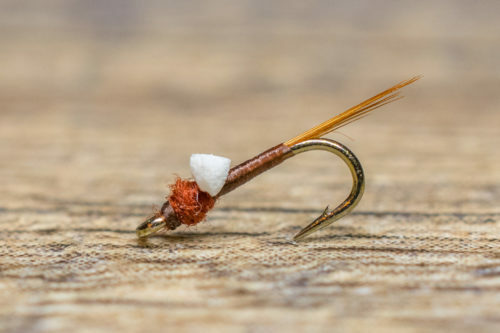 Don’t rule out fishing a size 22 Mercury Flashback Pheasant Tail during the winter months as trout are always looking to eat Baetis nymphs opportunistically.